Dave Seminara created his first international incident in 1986—provoking outrage among the Maltese by dressing up like Colonel Muammar Gaddafi while representing the tiny, Catholic island nation during an 8th grade model U.N. exercise. Since then, he has spent much of his adult life trying to understand Europe. 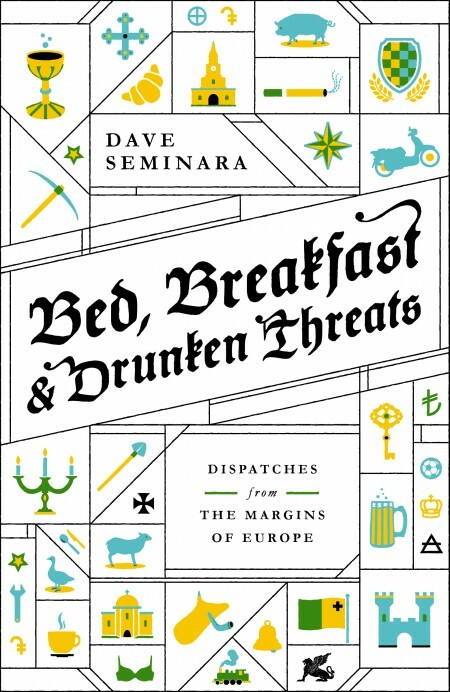 Bed, Breakfast & Drunken Threats: Dispatches from the Margins of Europe is a new collection of 22 travel stories that chronicle this quest. Traveling as a backpacker, an American diplomat posted on the Continent, and later as a roving journalist, Seminara’s European adventures have taken him from the kitchens of the Basque Country to the Great Russian Steppes and to many forgotten places in between. In Bed, Breakfast & Drunken Threats, Seminara takes readers couchsurfing in Liechtenstein, praying with the monks of Patmos, on a quest to make peace with Malta, to a macabre goose pulling festival in Spain, inside the home of a Bryan-Adams loving tyrant in the Caucasus, on a four-day-long train ride with a pair of Uzbek prostitutes, and on a host of other journeys that unfold across 13 European countries. Bed, Breakfast & Drunken Threats is a superbly reported collection of stories filled with humor, memorable characters, and keen cultural insights. Readers will discover why Seminara reveres Bulgarian mechanics and bus drivers in Liechtenstein, fears Greek moped rental guys and Italian soccer hooligans, and loathes French customer service and Serbs who smoke inside sealed train compartments. In Bed, Breakfast & Drunken Threats, we also learn why Seminara wishes he had Norwegian roots, envies the Basques, and maintains that the best places in Italy (Gangi) and Greece (San Michalis- population: 2) have yet to be discovered.